We look forward to employing more team members from this great state and training them to become strong and confident team members. 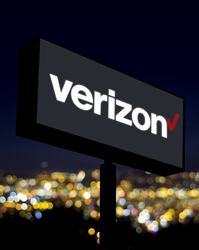 Cellular Sales, the largest independent Verizon Wireless retailer by volume, announces their expansion in North Carolina with a new store in Swansboro. Over the next year, the store is expected to add new jobs within the local community. On February 15, the store located at 810 West Corbett Avenue welcomed its first customers. The store is located directly next to McDonalds and across the street from the newly built Dollar Tree. This is Cellular Sales’ 59th store in North Carolina and their first store in Swansboro. The store currently employs ten team members with plans to add at least ten new team members as the store continues to grow over the next year. Cellular Sales has experienced significant growth over the past 25 years, due to their innovative approach to customer service. It has been named to Inc. Magazine’s 5000 list of the fastest growing companies nine times, achieving Hall of Fame status. For four to six weeks, new Cellular Sales team members are equipped with the best possible tools for success, by being trained with senior sales rep, before selling on their own. Team members are encouraged to view themselves as entrepreneurs with the support of an established, successful company backing them up. The U.S. Bureau of Labor Statistics expects demand for retail sales jobs to grow over the next decade and sales experience will be valuable. Cellular Sales understands the value of great training and support from a personal and professional development point of view. Cellular Sales seeks to hire individuals with a passion for customer service to work at its West Corbett Avenue store in Swansboro. Those interested in applying for jobs at this Cellular Sales location may contact Cellular Sales Recruiter Charles Ward at (910) 635-0162 or charles.ward@cellularsales.com.